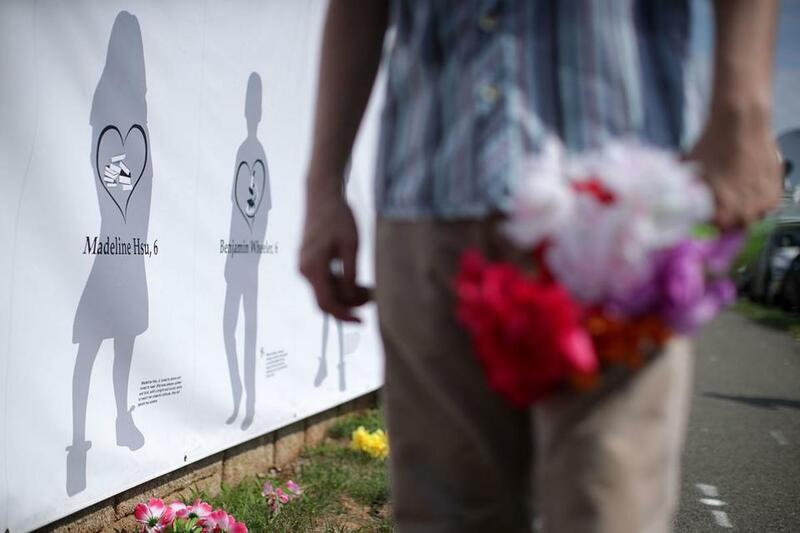 Artist Walt Boyle held flowers in front of his art piece at a makeshift memorial for Sandy Hook victims that stood near the NRA’s headquarters in Fairfax, Va. In the aftermath of mass murder, the impulse is always for national action, the question by individual citizens always this: What can we do to end this madness? The best answer: Demand action nationally, but push hard in your own state as well. Nationally, the gun lobby has President Trump and the Republican Congress in its pocket, and if history is any indication, lawmakers will duck and delay rather than act, even in the face of the worst mass shooting in modern American history. We’ve had moments of silence and thoughts and prayers and sadness, and we’ll have more, but Republicans, from Trump on down, won’t lead or even engage in a meaningful discussion about how to reduce the chances of future gun carnage. We all know the drill. Indeed, we’re already seeing it: the assertion, as predictable as it is illogical, that one shouldn’t discuss gun-safety measures in the aftermath of a mass murder committed by someone using guns. Meanwhile, right-wing media lackeys will disparage anyone who does. Of course, one shouldn’t design gun policy based on a single incident, particularly when all the details still aren’t known. But we’ve had scores of these killings. And here’s what we do know: States with the toughest gun laws have fewer gun deaths, from either murder or suicide. Seven of the 10 states with the strictest gun laws also make the list of the 10 states with the fewest gun deaths per 100,000. The converse is true as well: The cluster of states with the weakest gun laws overlaps greatly with the cluster with the most gun deaths. 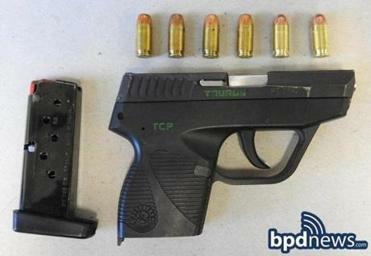 William Howell, 25, of Dorchester was arrested Monday after he ran from and struggled with police while clutching a loaded handgun, Boston police said. Read: Donald Trump could seize the moment on gun reform. Really. So what makes for effective gun laws? This state, like a half-dozen others, has a ban on assault weapons — in the case of rifles, high-powered semiautomatic models whose design mimics military weapons, with features like folding or telescoping stocks, pistol grips, barrel shrouds, and large capacity magazines. “Those laws show the most promise in making sure people can’t amass an arsenal of powerful weapons,” said Hannah Shearer, staff attorney at the Law Center to Prevent Gun Violence, whose state ratings can help citizen activists determine the efficacy of their own state’s laws. But effective state law also means a regulatory system that expands the reasons a potential buyer can fail a background check beyond those of the federal National Instant Criminal Background Check System. And statutes that vest considerable discretionary authority in police chiefs to deny an applicant the right to purchase or carry a weapon. “The police chiefs are in a position to know the people in a community who are not suitable to have a gun because of a history of dangerousness, even if it doesn’t include convictions,” noted attorney Ben Clements, a Stop Handgun Violence board member who has successfully defended Massachusetts gun laws in court. For any of that to work, of course, you also need comprehensive background checks for all gun purchases. That means closing the private-sale loophole, often called the gun-show loophole, which lets so-called private gun sellers peddle guns to buyers without executing background checks. And that’s a big loophole: In 33 states, there are no background-check requirements for private sellers, even when they are selling weapons at gun shows. It shouldn’t be surprising, then, that about 40 percent of US gun sales are done privately. Comprehensive federal action would be best, but given how unlikely that is, this is a struggle best waged on two fronts.